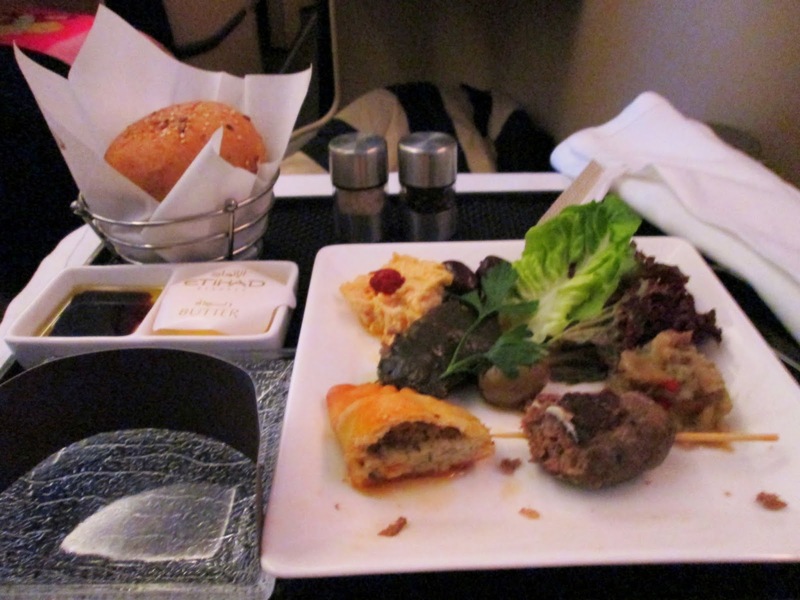 We flew out of London in the middle of the day (around 2pm) so although this flight was the “vice versa” of the red eye Abu Dhabi-London business class flight I took, it was still very different. I’m glad I was able to get a window seat this time. 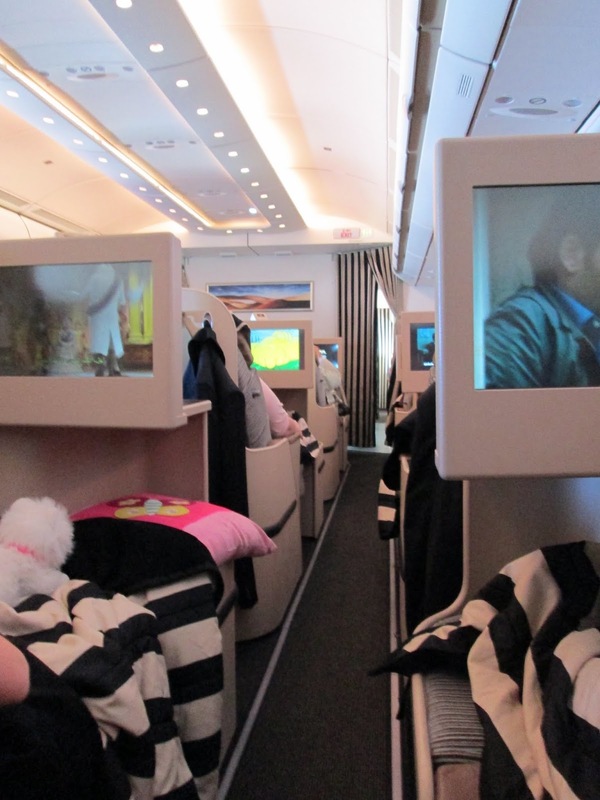 On the way to Abu Dhabi, I had the middle seat. 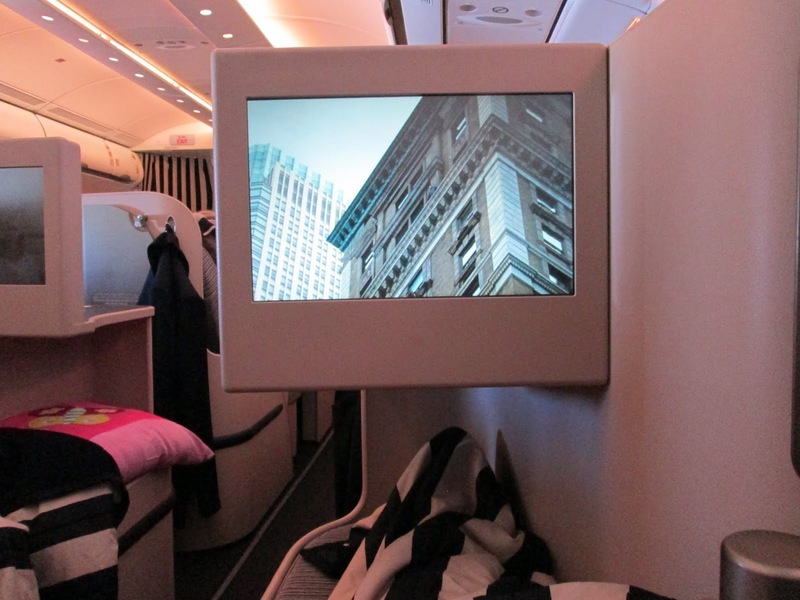 And while it had a divider between me and the lady to me left, it was still nice to be “secluded” in my little corner of the business class section. The seat configuration is 1 – 2 -1 and everyone has access to the aisle. And because this was at around 2- 3 pm, I was wide awake. I watched Brave (an awesome cartoon, watch it if you haven’t yet! ), and my patience paid off. 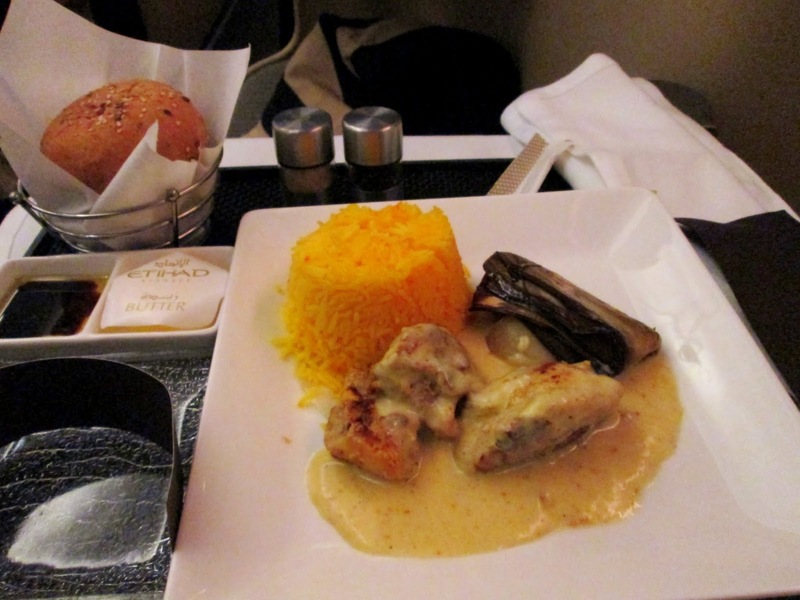 Because I managed not to eat too much in the business class lounge in Heathrow, I was able to enjoy a FULL MEAL in this flight. Let me show you my grub. For starters I had a Mezze Plate. It’s a platter of mediterranean / middle eastern starters. It’s the perfect way to stir up my appetite and get it ready for my main course. And now, the dessert , which for me was the piece de resistance …. My goodness. 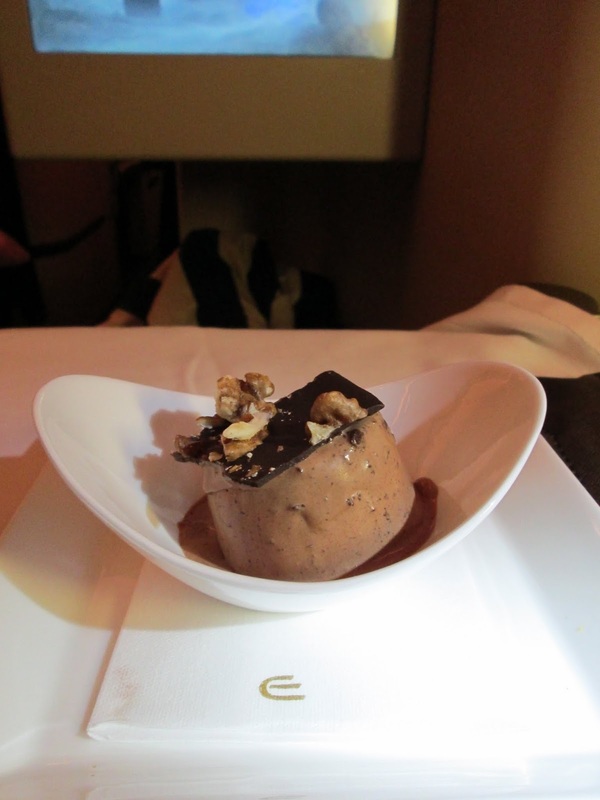 This has got to be the best dessert I ever had in a flight. I don’t know the brand of ice cream they served. But I know ice cream very well, ( I like them rich and packed with flavour, and dense). This was the perfect texture of ice cream. I know for sure this was 100% full cream (the only way I can take ice cream! I don’t believe in fat-free stuff LOL). It had small flecks and bits of rich chocolate in it so every bite was just divine. And lying seductively on top is a dark chocolate piece with walnuts and almonds. 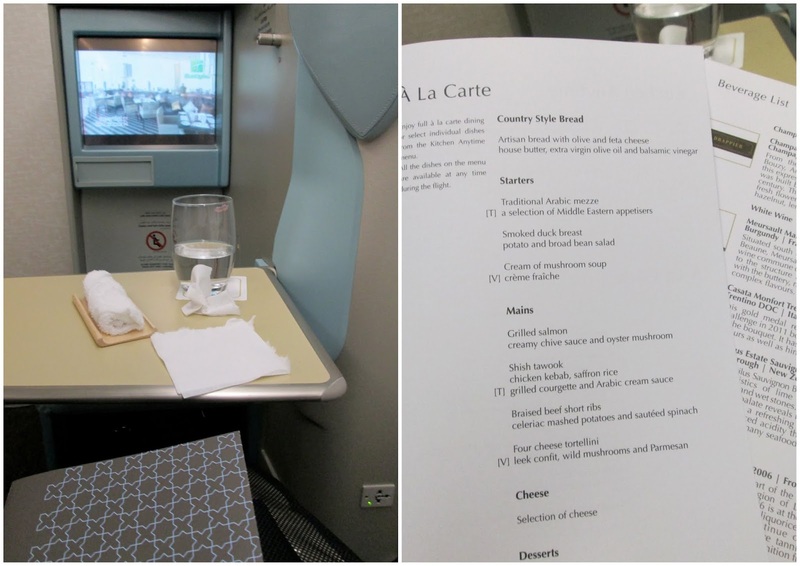 After this feast, I checked out my by-now-favourite-feature of the Etihad business class product on all their aircraft: The lavatory! 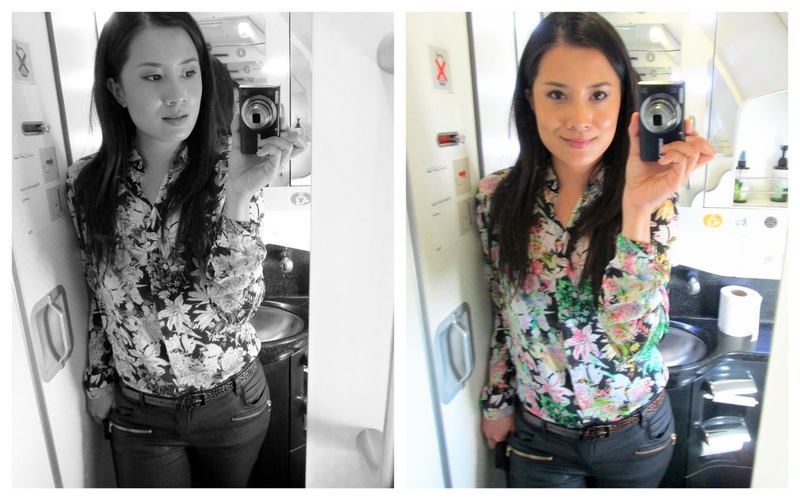 Whoever thought of putting windows in the lavatory was just pure genius. It gives natural lighting (from the heavens no less!) so it’s perfect for when you want to touch up, especially when you just gorged on a feast like I did! A very happy flyer. Good space, perfect lighting, top-notch, all natural-made toiletries from Korres — this is the ideal long-haul aircraft lavatory. 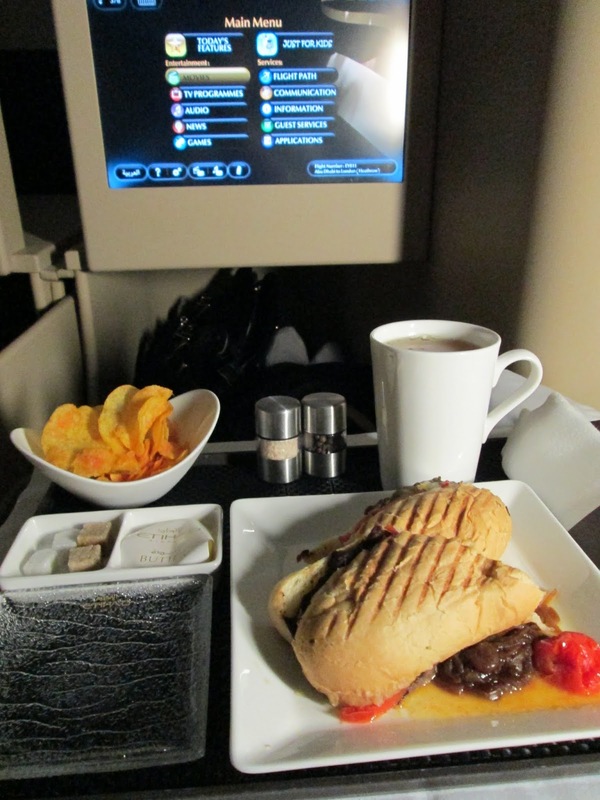 This trip was sponsored by Etihad Airways for a familiarisation trip. Opinions of the product/service are entirely mine.